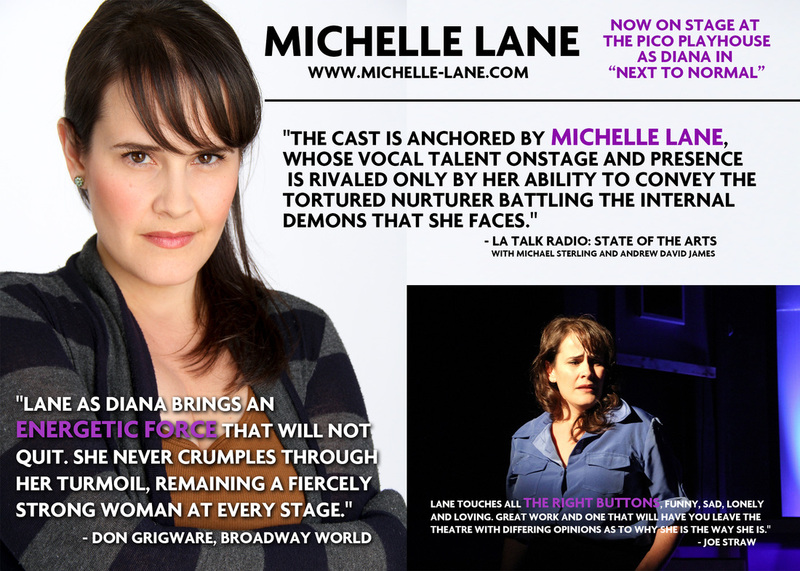 "The cast is anchored by Michelle Lane, whose vocal talent onstage and presence is rivaled only by her ability to convey the tortured nurturer battling the internal demons that she faces." "Pico Playhouse’s “Next to Normal” Is Next to Perfect"
"Michelle Lane is a stitch as the dimwitted bombshell Lois Lane. She (deliberately) massacres Shakespeare with perfection. And she knows how to work a song. Her "Why Can't You Behave?" is a stunner."